GNOME 3.10 includes a number of new applications, including Music, Photos, Notes and Maps. Many existing applications have also been improved. Music is planned to be the default audio player application for GNOME 3, and it is making its debut in GNOME 3.10 as a technology preview. 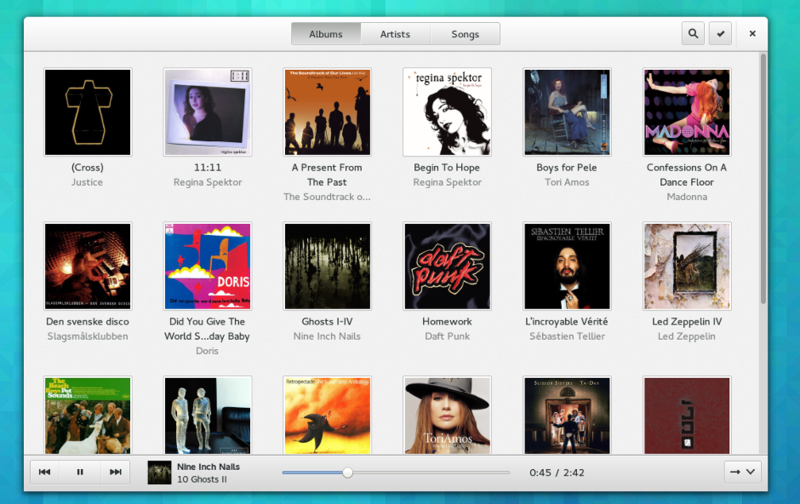 Music provides a clean and focused interface for browsing your music collection according to Artist, Album or Track. Support for playing music from media servers (via UPNP) and fetching music from online sources is planned for the future. Maps is a new map viewer application for GNOME. Based on collaborative OpenStreetMap data, which is contributed to by hundreds of thousands of people across the globe, it allows you to browse street maps and satellite images. 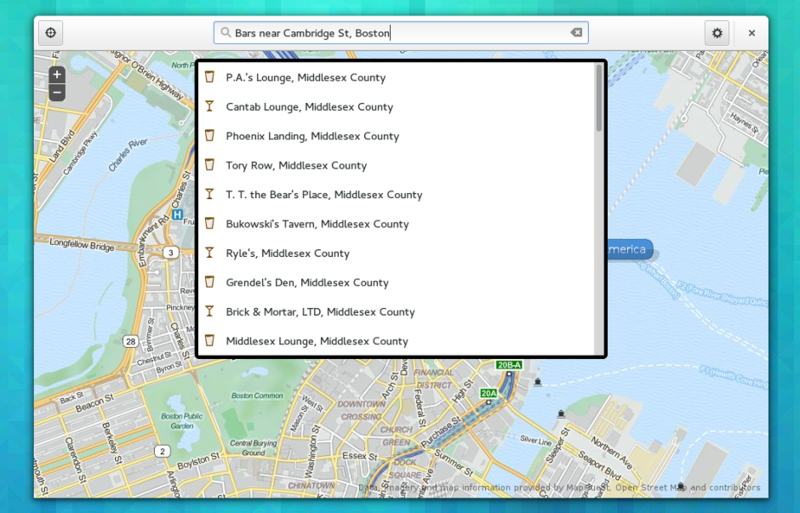 Maps allows you to search for the names of towns, cities and landmarks, or for places of interest such as "cafes near Main Street, Boston" or "Hotels in New York". The new GNOME geolocation framework which has been created for GNOME 3.10 is used to identify where you are, show maps for your current location, and find places when you search. 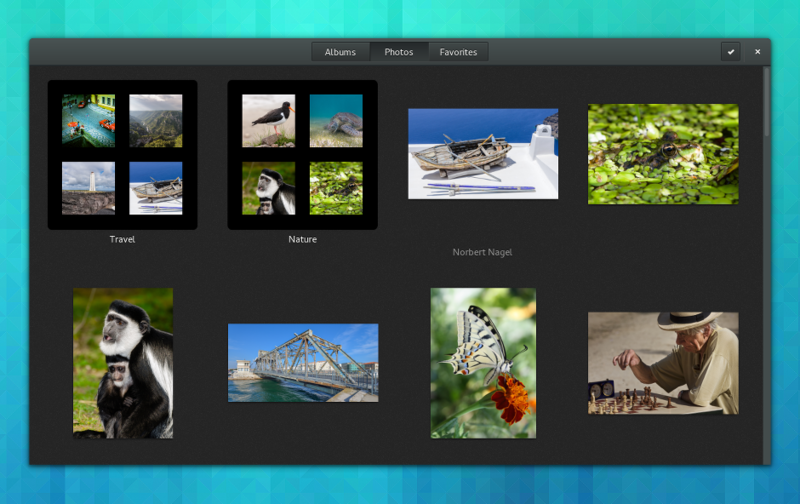 Photos is a new application that was first introduced in GNOME 3.8. Since then, it has matured and is now a fully-fledged member of the core application set. Photos allows you to browse, organize and print your pictures, and has Online Account integration. Pictures from your Flickr account can be browsed directly through the application, and support for other online photo services is already being worked on. Photos can also be used to send your photos to be displayed on other devices, such as DLNA-enabled TVs and phones and other computers running GNOME. 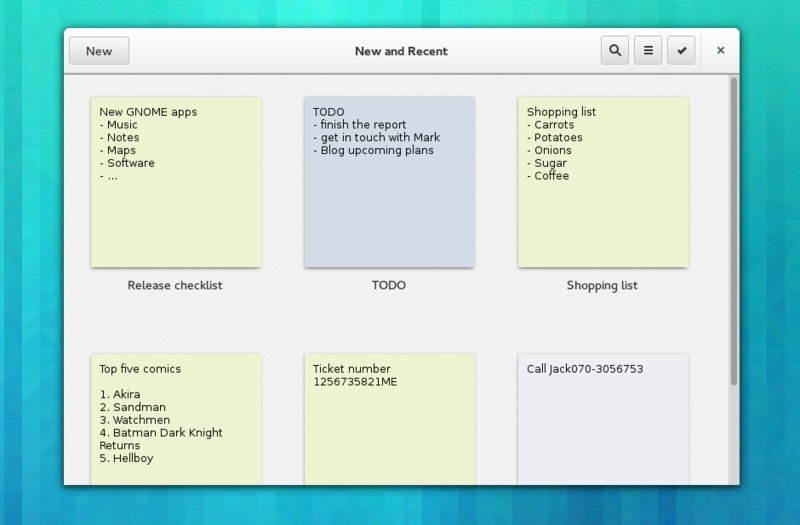 Notes was originally introduced in GNOME 3.8 as Bijiben. Since then it has matured, and has gained the ability to store notes using ownCloud. Notes provides a simple interface for writing, browsing and searching notes, and automatically saves your work so you don't lose it. The stopwatch and timer in Clocks now have an animated analog timer which both looks great and gives additional feedback. Clocks also has geolocation support in 3.10: if possible it will automatically detect where in the world you are and show a clock for the closest city. 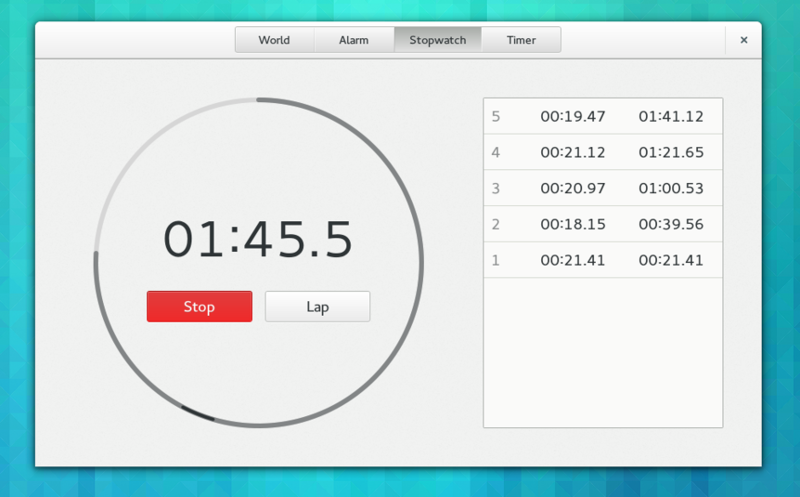 The Tweak Tool has had a complete refresh for GNOME 3.10. The configuration options it provides have been reorganized to make browsing easier, and the layout and labelling of each option has been updated to make them easy to understand. 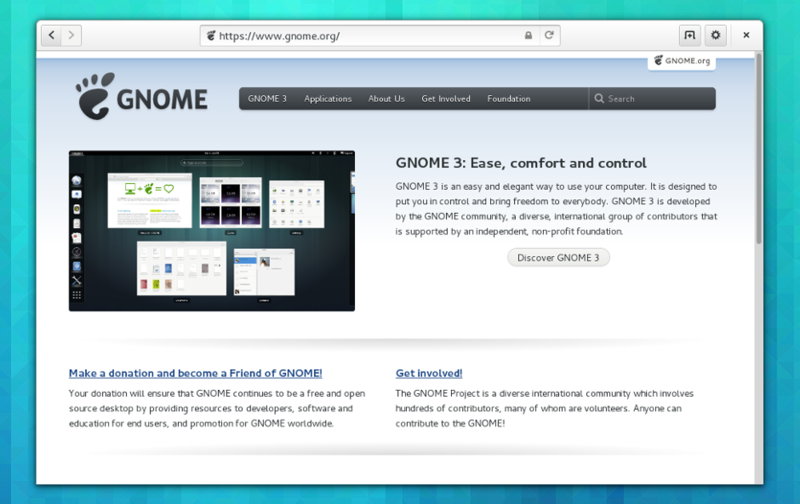 Web, the GNOME browser, has had a number of improvements for 3.10. Like many other applications, its titlebar and toolbar have been combined into a header bar. This gives more screen space to show web pages in. Web has also gained integration with system search, so that you can search your browsing history and open pages directly from the Activities Overview. Finally, as a part of our effort to protect your privacy, the default web search engine has been switched to DuckDuckGo. Boxes is now able to import file system images, including QEMU (.cow, .qcow and .qcow2), raw disk images (.img), VirtualBox 1.1 (.vdi), VMWare 3 and 4 (.vmdk), VirtualPC (.vpc) and Linux Compressed Loop images (.cloop). Version 3.10 also includes many small user interface improvements. Documents has gained the ability to browse and read documents stored on ownCloud. Contacts has had a lot of user interface improvements, including an updated contacts list, better looking contacts pane, and new dialogs for linking contacts and changing your address book. The Document Viewer now has DjVu support and a new search results sidebar. It also includes the long-awaited PDF caret and keyboard navigation support. This feature places a movable cursor in text pages, allowing you to move around and select text with your keyboard. Caret navigation can be activated by pressing F7. 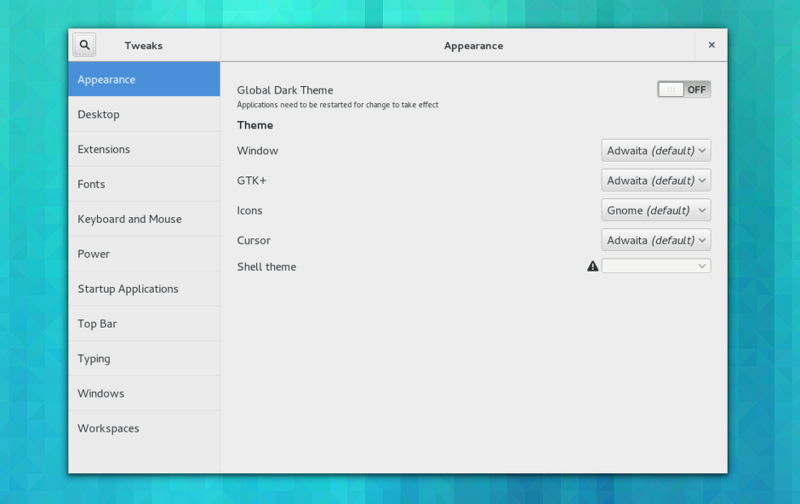 The work for this feature was funded by the Friends of GNOME accessibility campaign. In Boxes, it is now possible to drag and drop files between your computer and virtual machines. This will automatically work with new virtual machines that have been created using the express install option. Non-express installs or older virtual machines require a new spice-vdagent; Microsoft Windows virtual machines require spice-guest-tools.